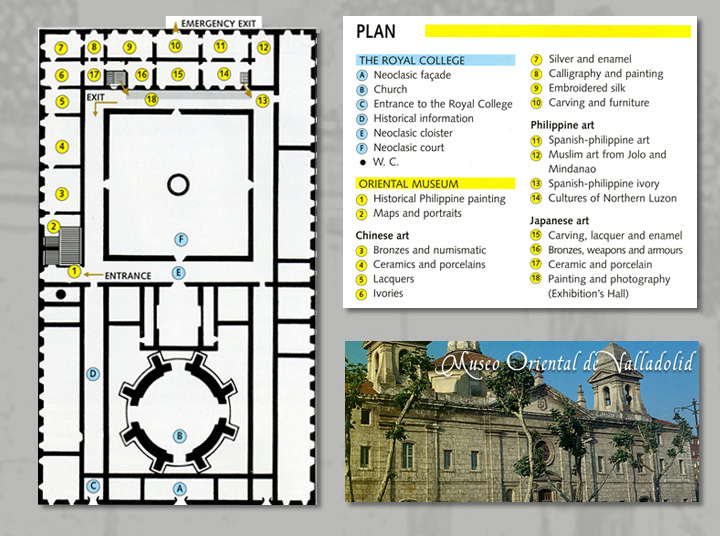 How to reach the Oriental Museum? 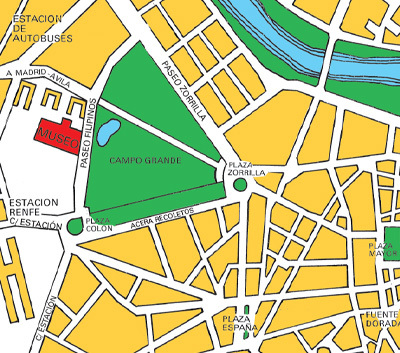 The museum is situated in the Royal College of Augustinian Fathers, the building opposite to Campo Grande: Paseo Filipinos – 7, 47007 Valladolid. Tel. 983 306 800 / 983 306 900. Fax 983 397 896. Five minutes walk, along Calle de la Estación; at Plaza de Colón turn left for Paseo Filipinos. Also five minutes walk, along Paseo Arco de Ladrillo; on reaching Paseo Filipinos turn right. Wheelchair accessibility. Reduced rate of admission fee for groups. Availability of guide service. Books, post-cards and other materials are available at the entrance desk at the museum. From Monday to Saturday: 10.00 – 14.00 (reserved for pre-arranged groups). Sundays and Holidays: 10.00 – 14.00.